We couldn’t call ourselves a reputable landscaping service if we didn’t know lawn care. Thanks to our decades of experience servicing the lawn care needs of Mid-Michigan homeowners and businesses, as well as our extensive knowledge of lawn care products, we provide our clients an unmatched level of service. Lawn care can be a strenuous task that eats up your leisure hours on the weekend or after a long day’s work. Whether it’s mowing your lawn, picking up leaves or debris, or dealing with “hard-to-grow” areas due to soil make-up or high shade areas, a lot of time and effort goes into producing and maintaining a lawn the neighbors will envy. Not everyone has the ideal soil composition or sun exposure to grow a thick, green lawn. Kable Landscaping can analyze your soil and determine the ideal fertilizer composition to augment it. We also have expertise in providing the perfect seed for your sun/shade situation. Our hydroseeding service produces a beautiful green space that lasts season after season with proper care and maintenance. Already have a lawn your neighbors are envious of? You no doubt want to maintain it. We can take on the tasks of mowing your lawn, removing leaves, and trimming your plants and shrubbery. We’ll treat your yard like it was our own. Growing a beautiful, lush lawn is no easy task. 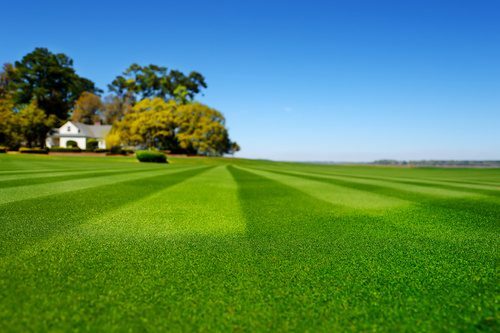 To truly have the lawn of your dreams, you need an experienced professional who can provide long term solutions. No job is too big or too small for the Kable Landscaping crew to take on. We have the answer for all of your lawn care needs. The lawn of your dreams is just a phone call away. Call Kable Landscaping today at (989) 695-5222 to talk to us about your lawn care needs. We look forward to hearing from you!